I am no kind of expert on blockchain or the various technologies or mathematical concepts associated with it (crypto, consensus mechanisms, smart contracts, etc.). But in my capacity as co-founder of the RightsTech Project I’ve observed how many different sectors of the creative industries are looking to blockchain as a solution — or part of a solution — to a common set of challenges. So, in preparing for the panel, I pulled together a few “thoughts” on the question and came up with five broad use cases, or categories of use cases, for which people in the creative industries seem to be looking to blockchain. I didn’t attempt to reach any sort of grand synthesis or conclusion regarding those categories. But a few people have since approached me anyway asking if I would share more details on my (very rough) taxonomy, so, for what it’s worth, I thought I’d try to elaborate a little on my comments here. Imogen Heap, who released her single “Tiny Human” on the Ethereum blockchain via Ujo Music last year as a proof-of-concept for direct-to-fan distribution. DECENT, the well-funded Switzerland-based startup building what it calls a fully decentralized content distribution and financing platform. AltMarket, a Silicon Valley-based startup building a crypto trading platform to help artists issue their own branded token. Some direct-to-fan projects may face more difficulty getting off the ground in the future as regulators take a harder look at the use of crypto-tokens to raise capital and questions begin to arise around the copyright implications of blockchain-based distribution. Verisart, a blockchain-based application for generating a cryptographically secure certificate of authenticity for artworks and collectibles. KodakOne, a new blockchain-based registration platform developed by Wenn Digital for photographs and other images. 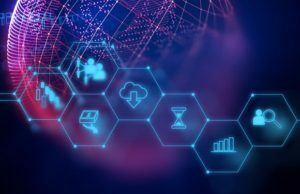 At its core, blockchain, a blockchain is simply a ledger of transactions, albeit one that is network-based and shared by all participants in the network. The particular genius of blockchain technology is that it can incorporate mathematical mechanism for creating consensus and uniformity in the ledger throughout the network without the need of a trusted central authority to certify its accuracy and currency. JAAK, a startup working with several major music publishers to create a comprehensive, decentralized global database of music rights information built on blockchain. The Open Music Initiative spearheaded by Berklee College of Music and involving more than 200 music industry partners, that is attempting to define an open ecosystem for the sharing and transfer of music metadata and rights information, which incorporates blockchain-based applications. Dubset, a blockchain-based service for clearing and paying for rights to recordings and compositions included in music DJ sets and remixes. Image Protect, an ambitious effort to create an open, decentralized global database of image rights. Similar to efforts to create open, decentralized databases, some in the creative industries see in blockchain a means to bring greater transparency to tracking and payment of royalties and residuals. Any given view, listen, sale, or other paid use of a copyrighted work can trigger a long string of contractual payment obligations to the people involved in the creation of the work. That money typically passes through multiple hands, however, and it is often very difficult for artists to track what they’re owed, by whom, for what. Often enough, money owed never quite makes it all the way through to the artist. MovieCoin, a blockchain-based film financing platform that touts its ability to provide financiers and investors with a transparent ledger of all expenditures, receipts, entitlements and ownership of all works financed through the platform. Ujo Music, the Ethereum-based platform used by Imogen Heap to release “Tiny Human” to enable tracking and payment of royalties via smart contract. This is a tricky one. There are many within the major media companies (Hollywood studios, major record labels, book publishers), who see in blockchain an opportunity to reintroduce conditional access (i.e. DRM) to industries that have been plagued by piracy. In theory, self-enforcing usage rules incorporated into the smart contracts used to represent copyrighted works on a blockchain could prevent or limit many unauthorized uses or redistribution of those works. Decentralized registration of usage rights could also, again in theory, benefit consumers by providing a simplified, non-intrusive alternative to an online, restricted-access rights locker. Whether that would be enough to induce consumers to embrace such a system is an open question. Rare Bits, a blockchain-based marketplace for digital collectibles. Volition, a blockchain-powered print-on-demand card game from Cryptogogue. Dada.nyc, an online art gallery for buying and selling limited edition digital artworks. This list is not intended to be exhaustive. There are no doubt many other possible uses for blockchain within the creative industries. Nor is it meant to be definitive. Many blockchain projects incorporate elements of some or all of the general features I’ve outlined. But I hope it captures, at least in broad strokes, some of the main ways people in the creative industries are thinking about the potential of blockchain.